It was a night to remember for English Cities Fund (ECf) at the Insider North West Residential Property Awards 2018, as the delivery team behind New Bailey picked up two awards at the prestigious annual event. The team won Public/Private Partnership of the Year at the awards which took place at Event City, Manchester, bringing together some of the biggest names in the North West’s residential market under one roof. ECf which is a joint venture between Muse Developments, Homes England and Legal and General, was recognised for its significant partnership with Salford City Council to deliver new residential developments as part of the Salford Central regeneration masterplan. ECf also won Small Housing Development of the Year for Timekeepers Square, a development of 36 Georgian-style townhouses built around the Grade II* listed neo-classical Church of St Phillip’s in Salford. The development is just minutes away from New Bailey and was described by judges as one of the region’s best residential developments in years. Timekeepers Square has been a roaring success with ECf receiving over 5,000 enquiries about the homes and all sales were secured off plan. 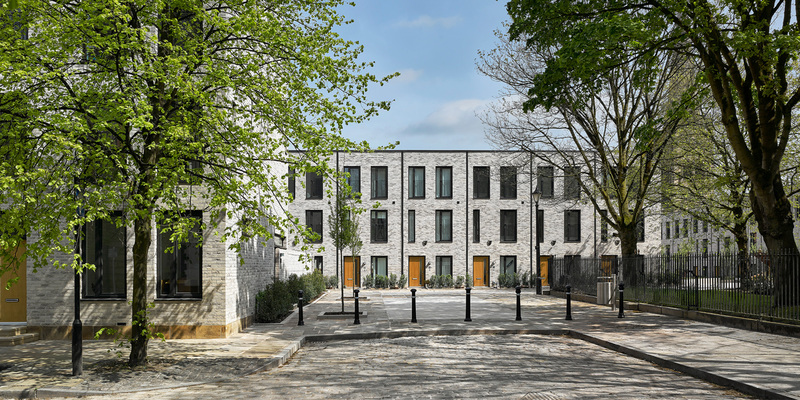 At the awards, ECf was also shortlisted for Bespoke & Urban Developer of the Year and Apartment Development of the Year for The Slate Yard development.